Remember all those holiday crafts you made in grade school? 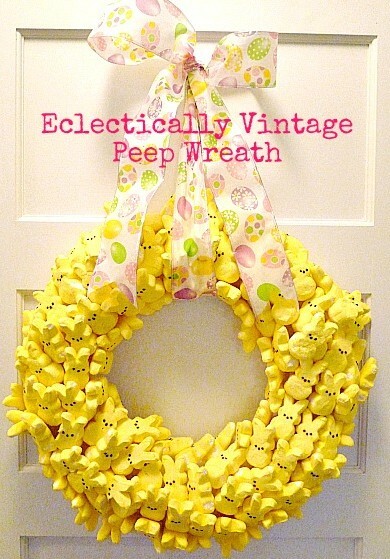 Every holiday called for special projects – table favors, wreaths and other decor you’d take home to Mom. 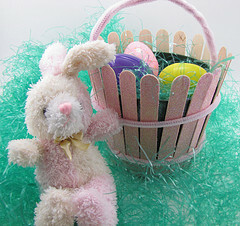 Easter called for eggs, chicks, bunnies and baskets in glorious pastels. I remember weaving construction paper strips to make my own little Easter basket, which we filled with grass and jelly beans. Hunting for some unique crafts, I stumbled across some awesome ones that remind me of days gone by. Here’s some that really tickled my fancy. 7. Milk/Juice Carton Baskets: I remember having to take into school a well-washed milk carton, which we decorated with paper and markers. There’s a great walk-through for that at Stacey says. And that’s my list. Believe me, I had a hard time narrowing it down – there are so many awesome, yet simple, crafts I made as a kid. Unfortunately, like most of our childhood artwork, the bulk of those pieces are long gone.